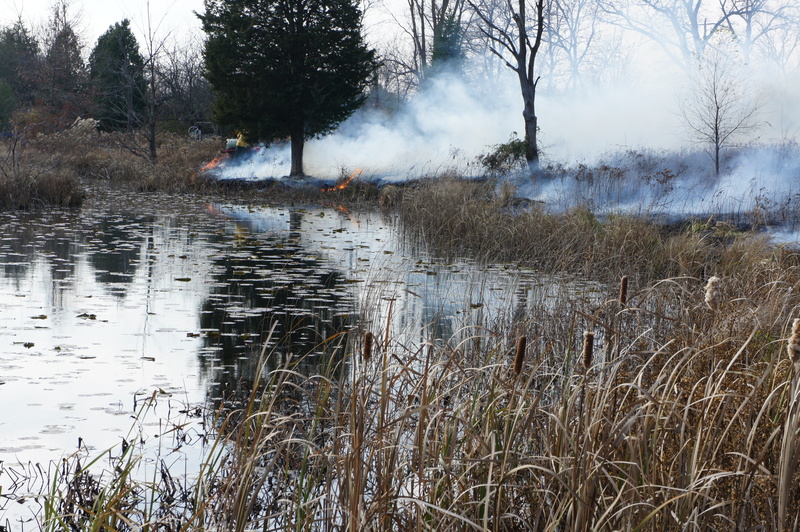 Prescribed fires are one of the many ecological services that Blue Heron Ministries offers. 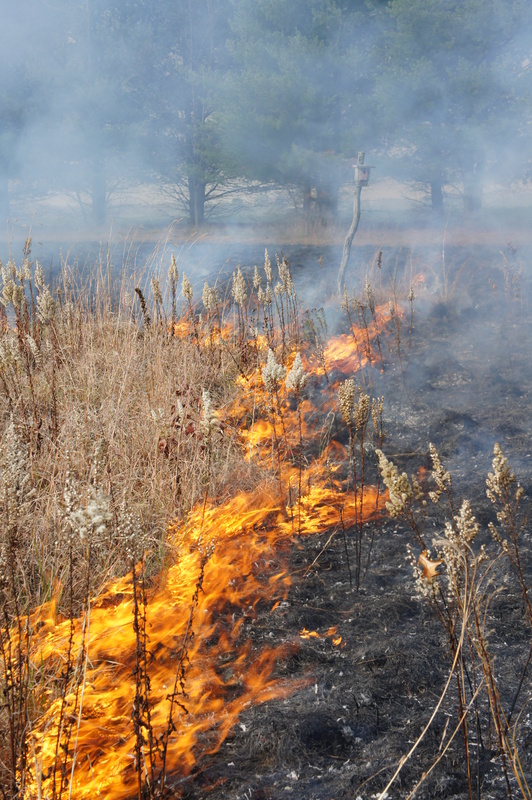 Fire was played an important role in the establishment of many of the ecosystems we work with. 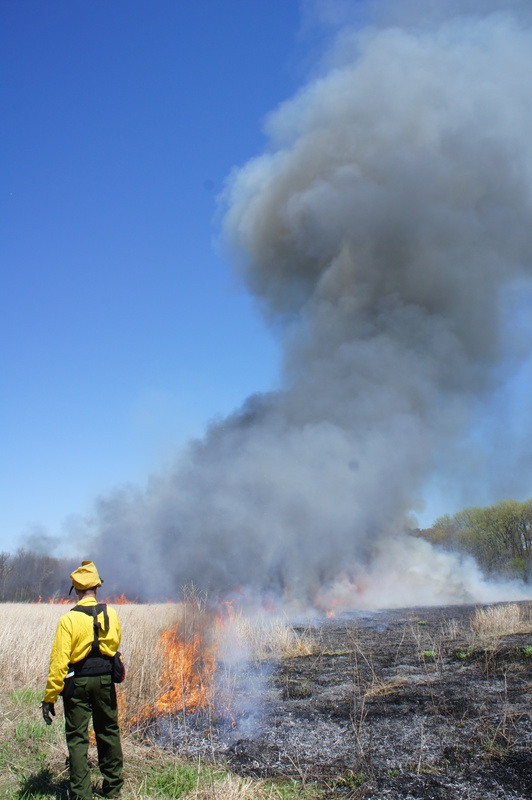 Fire serves as a disturbance that triggers the natural processes of succession, improves habitat for wildlife, and improves the establishment of native plants. 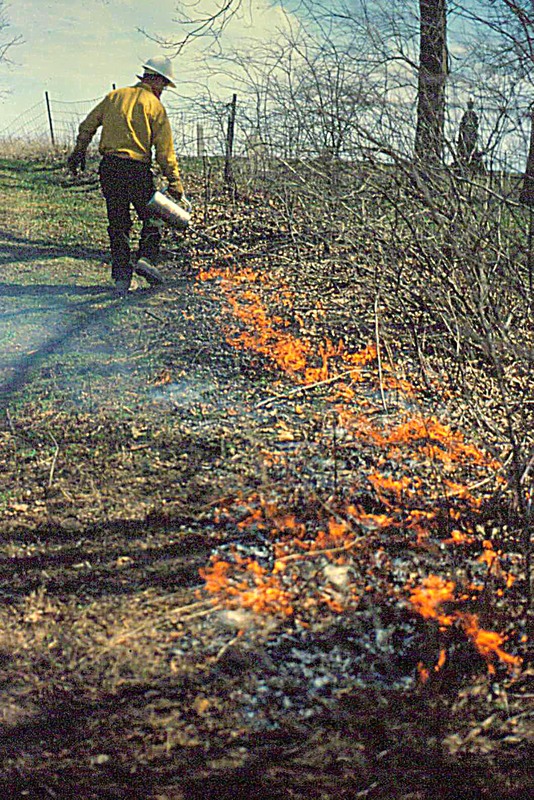 Most burns occur in the early spring, but there is a shorter window for burns in the fall as well. 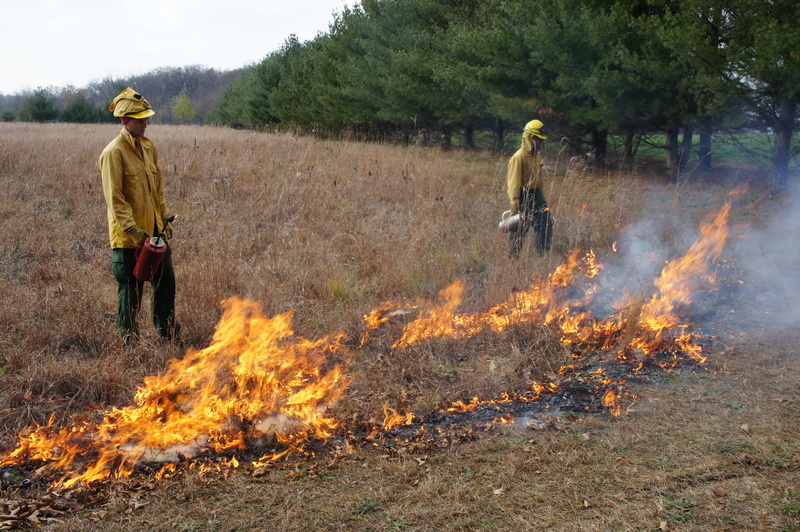 Prescribed burns are extremely weather dependent, so the amount of burns we are able to do varies from year to year. Blue Heron Ministries prepares a site specific burn plan, in written and graphic form, for each burn location. 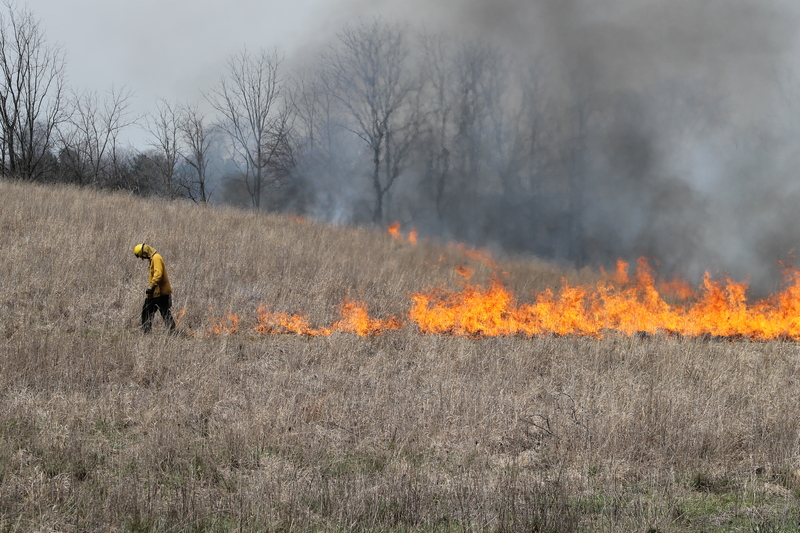 Each burn plan calls for certain weather conditions and looks at every specific site consideration. Each crew member that participates on our burns has completed the red card certification classes given by the Indiana Department of Natural Resources for wildland firefighting. Blue Heron also takes care of any variance applications that may be required for each site, depending on the location. Mowing down invasive species during certain times of the year can help weaken the impact of that species and over time, can eradicate it completely. 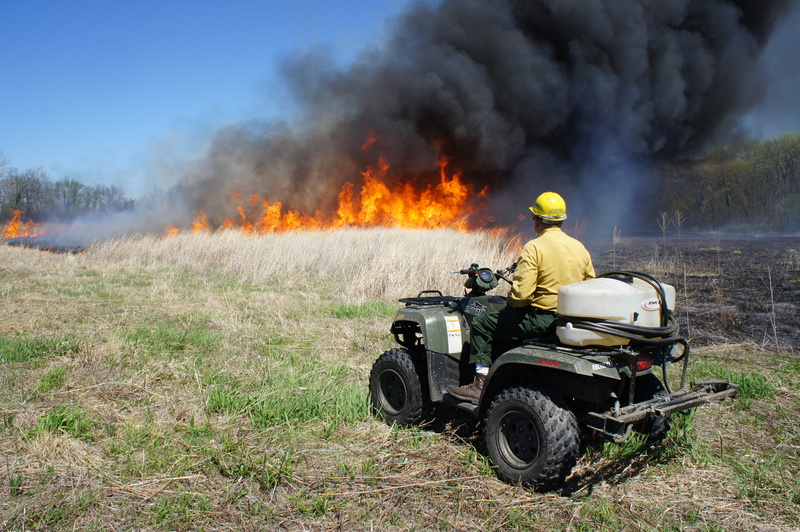 Much like fire, brush mowing is another type of disturbance that can trigger natural processes. Blue Heron Ministries can do this in a number of ways, and will complete a personalized site visit and plan to determine the best method for each case. Blue Heron Ministries collects a large portion of the seeds we plant from many of the properties where we work. Seeds collected from local plants contain a local genotype, which means that the plant will be better adapted to the conditions of the area, and more likely to survive. This helps maintain the unique characteristics of the lakes country ecoregion and begin to recover the native landscapes we are starting to lose. Much of the seed we collect by hand, with a lot of help from our volunteer base. We get together and collect seed every Saturday in October, as well as other dates throughout the year. If you are interested in becoming a volunteer and joining in on the fun, follow us on Facebook or check in on this website for opportunities. Once the seed is collected, it is cleaned and mixed according to the conditions of each site. It is spread either by hand or by machinery, depending on the size of the planting. Herbicide application is another effective method of eradicating invasive and unwanted species. Blue Heron offers a wide array of methods of herbicide application, and selects the most effective method for each situation. All crew members have a pesticide applicator’s license for the states of Indiana and Michigan.